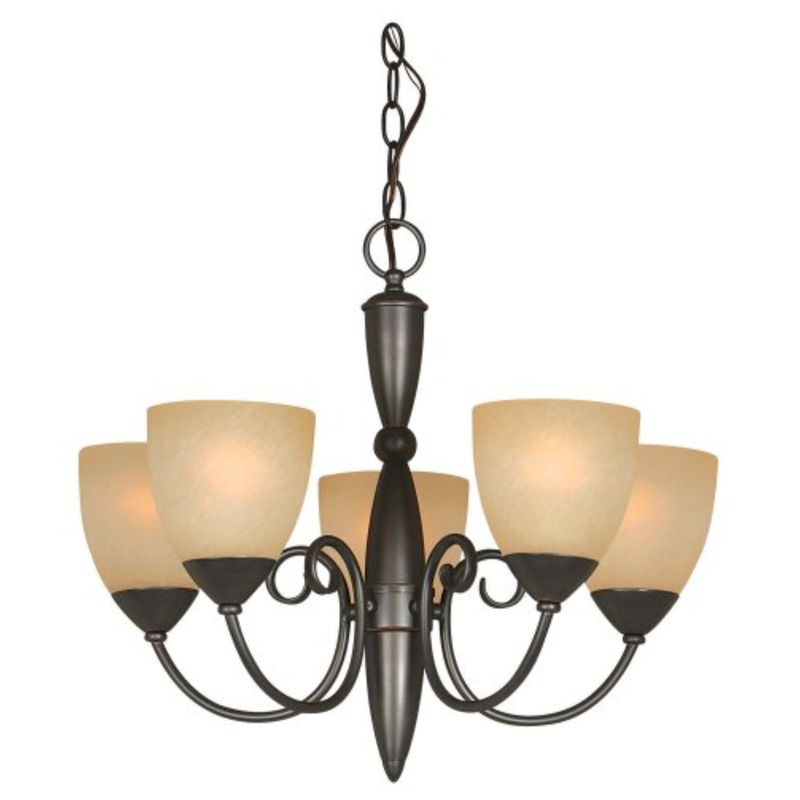 This Eleanor Crystal Chandelier creates a glamorous sparkling pendant that complements your modern look. 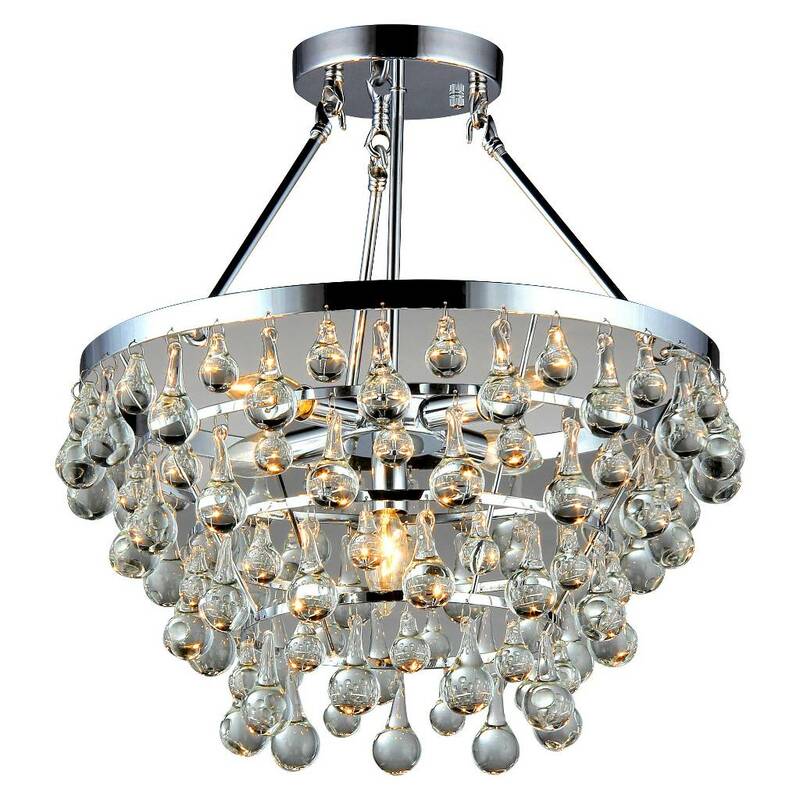 Made of clear crystal & metal, stands H19in W18in, uses Bulb Qty: 5x60W type E14 and 100 cm chain included. 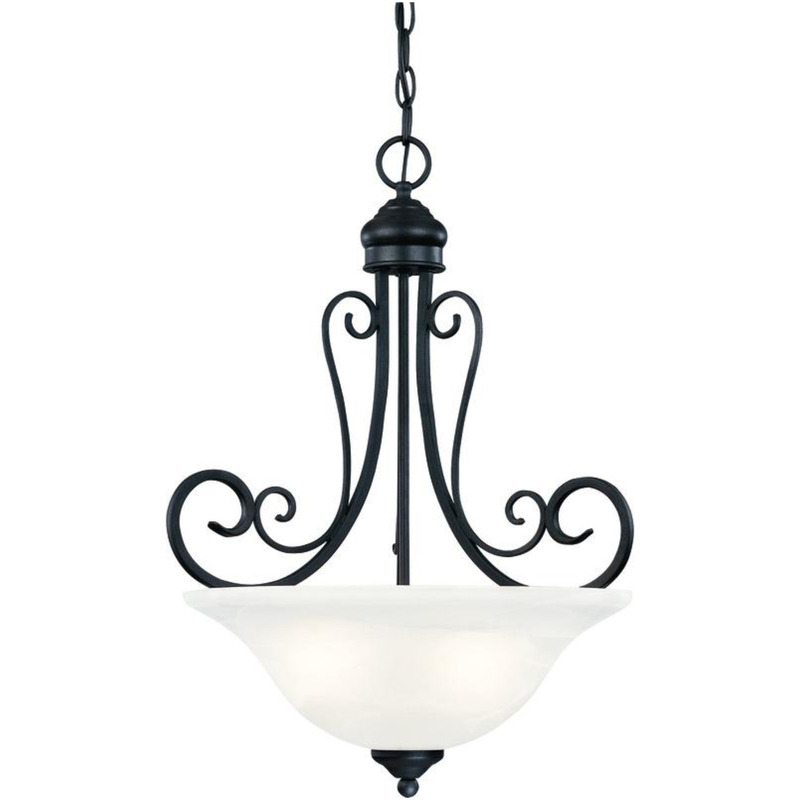 This Angelina Crystal Chandelier creates a glamorous sparkling pendant that complements your modern look. 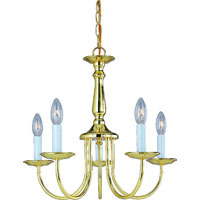 Made of clear crystal, metal, stands 17"wx16"h, uses 4x60W bulb type E14 which includes 40" chain). 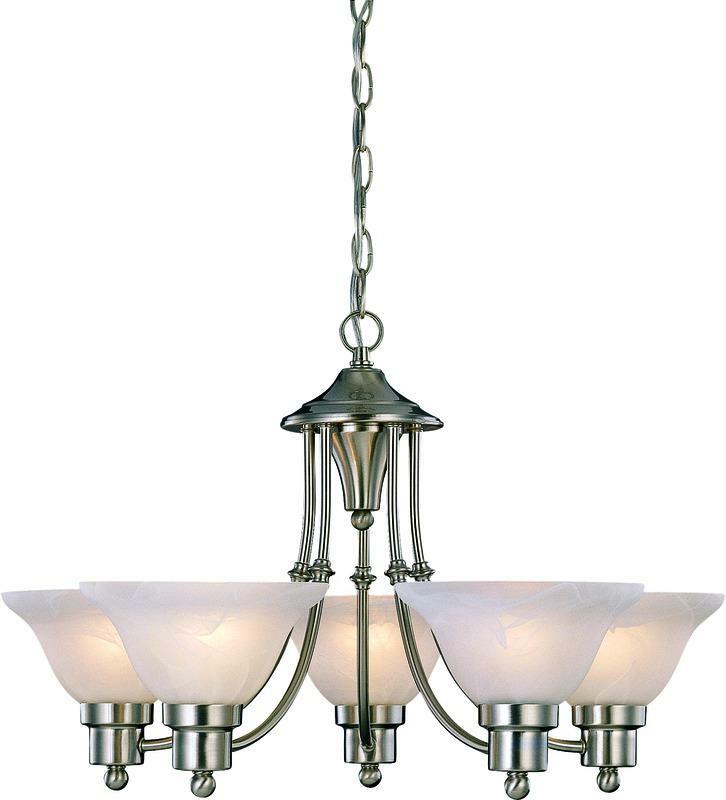 Contemporary chandelier | Brushed nickel finish with alabaster glass | 3 100W incandescent medium base bulbs | 16-5/8"
This Ellaisse Crystal Chandelier creates a glamorous sparkling pendant that complements your modern look. 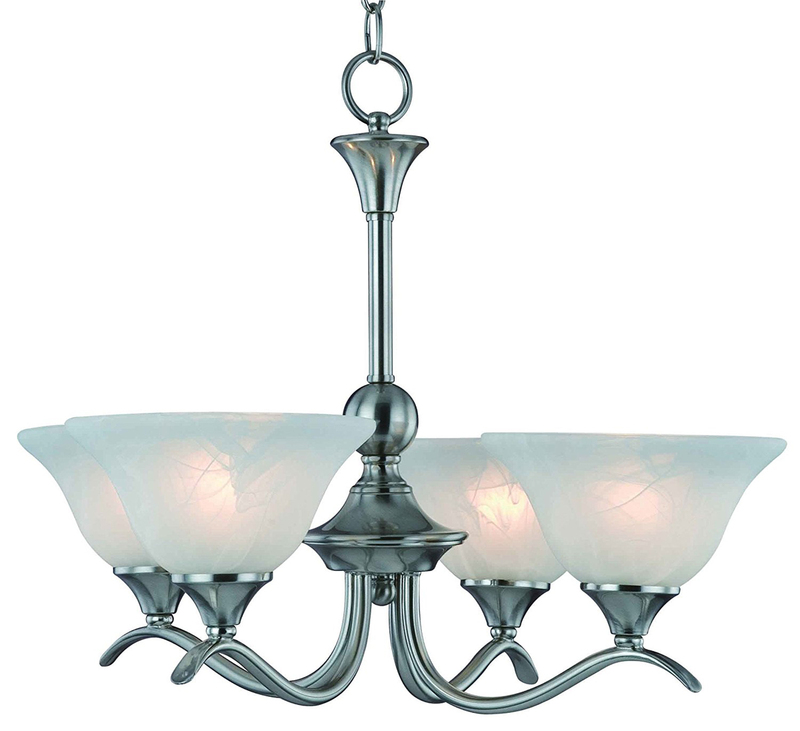 Made of clear crystal, metal, stands 17"wx17"h, uses Bulb Qty: 3x60W type E14 (not included), including 4" chain. 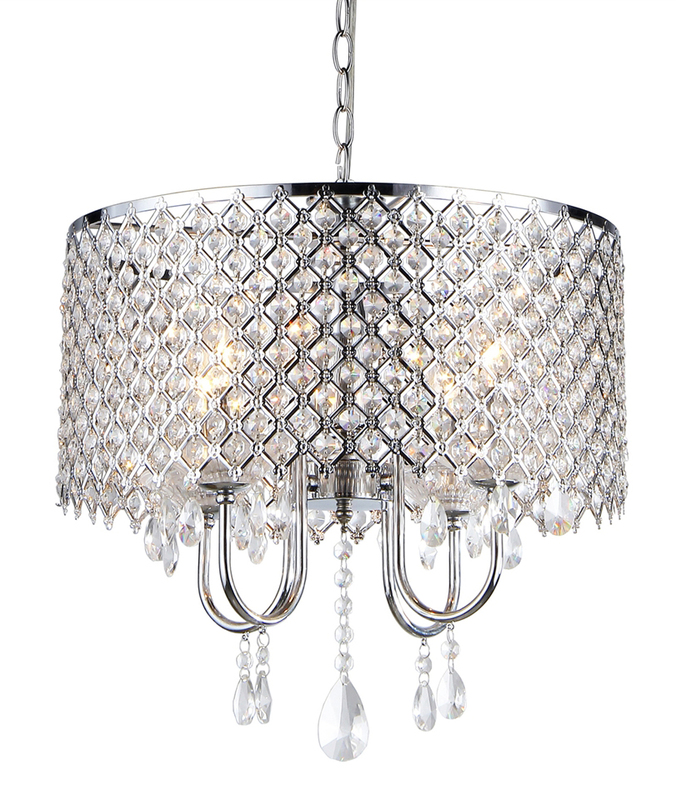 This Scarlett Crystal Chandelier creates a glamorous sparkling pendant that complements your modern look. 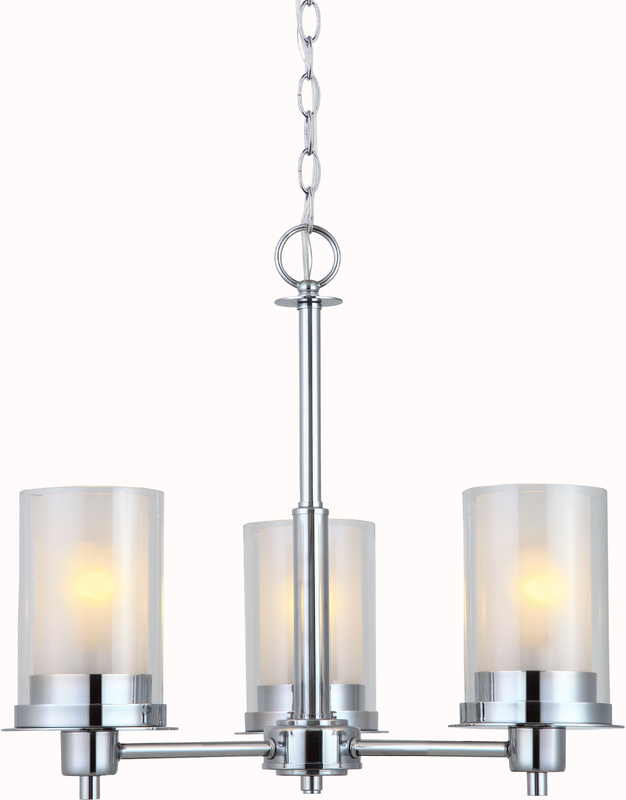 Made of stainless steel, metal & clear crystal, stands W14.5in H14.5, uses Bulb 5x40W type GU10. 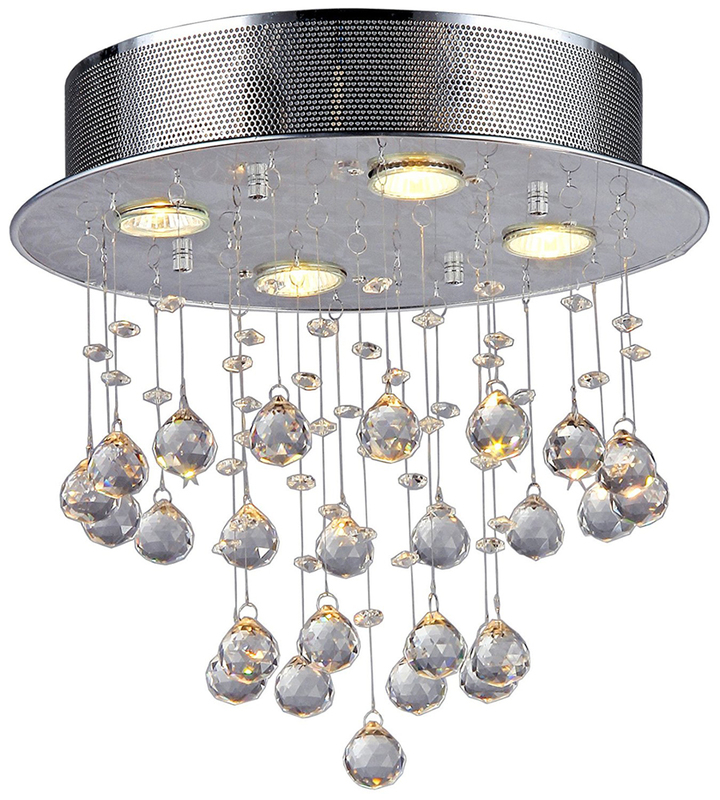 This Olga Crystal Chandelier creates a glamorous sparkling pendant that complements your modern look. 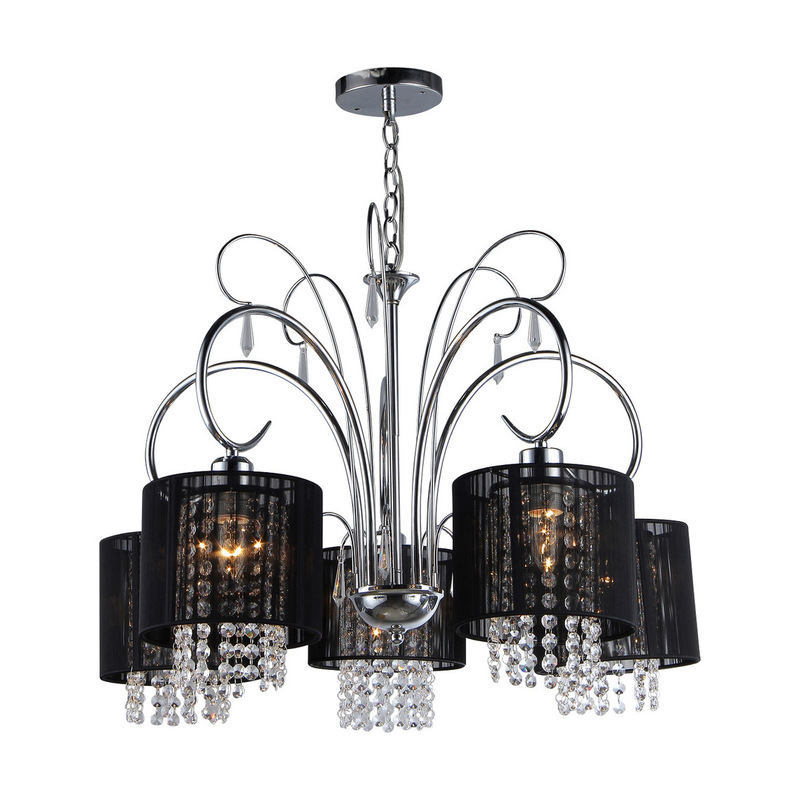 Made of metal, clear crystal, stands H19in W17in, uses 4x60W type E14 (Including 40" chain), black fabric. 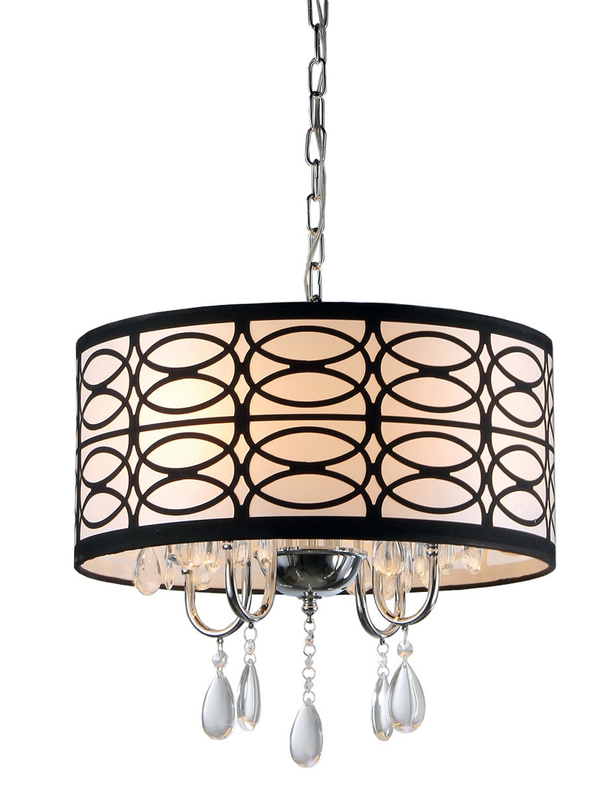 This Camilla Crystal Chandelier creates a glamorous sparkling pendant that complements your modern look. 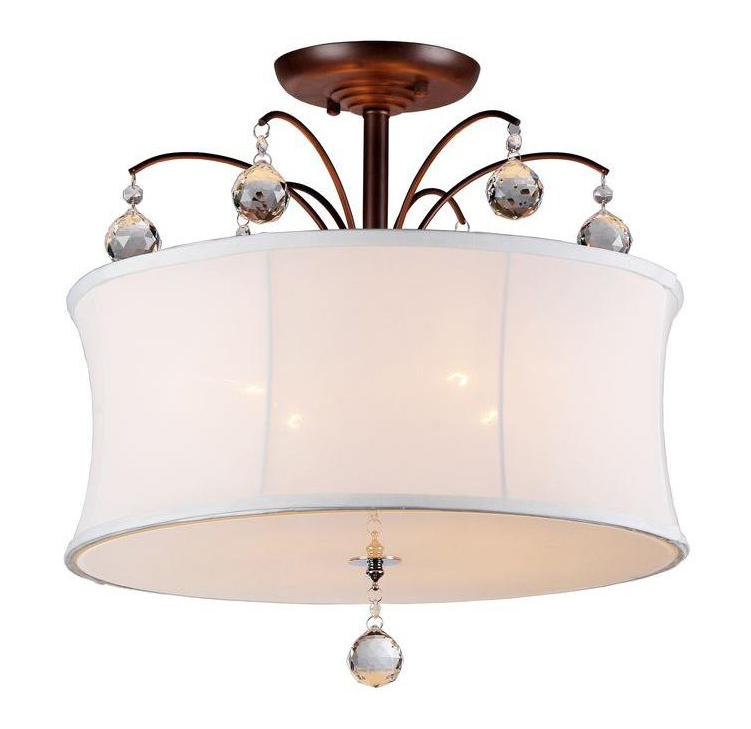 Made of clear crystal, Metal, White Faux Silk Drum, stands W23in Deep23in H21in, uses Bulb Qty: 6x40W type E14a, including 40" chain. 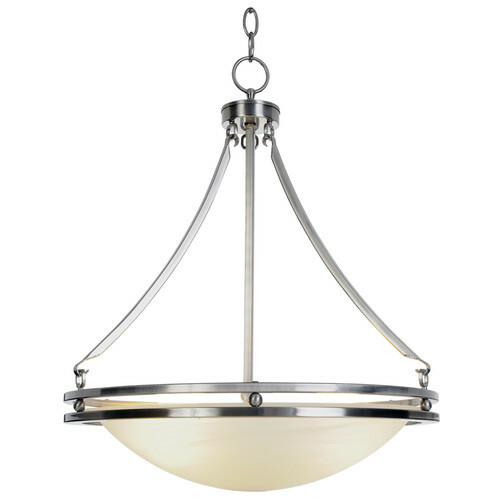 The Design House 514505 Millbridge 1-Light Pendant has clean details for a modern accent in your home. 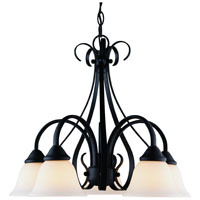 Oil rubbed bronze finished formed steel frame and alabaster glass add a soft glow in your kitchen or dining room. 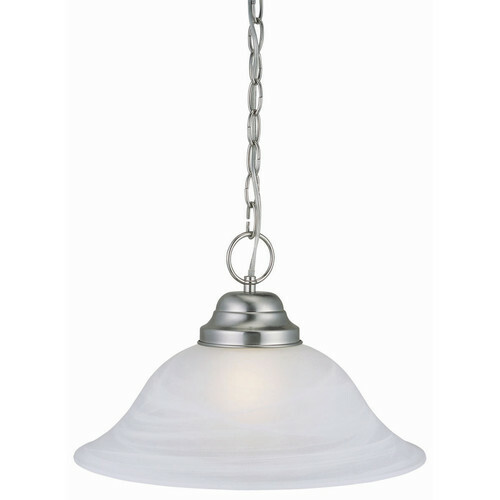 This 6.4-pound pendant uses (1) 100-watt medium base incandescent bulb. 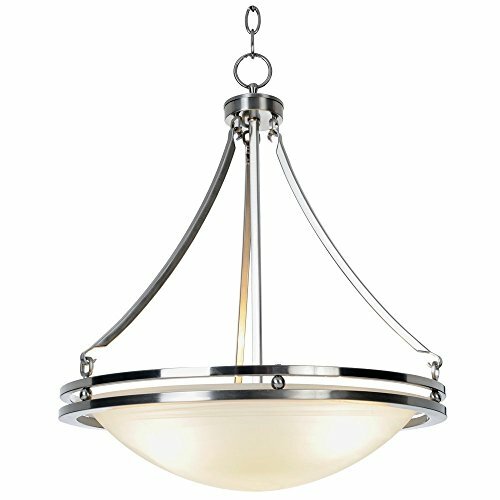 This pendant's versatile design is applicable for high or low ceilings. 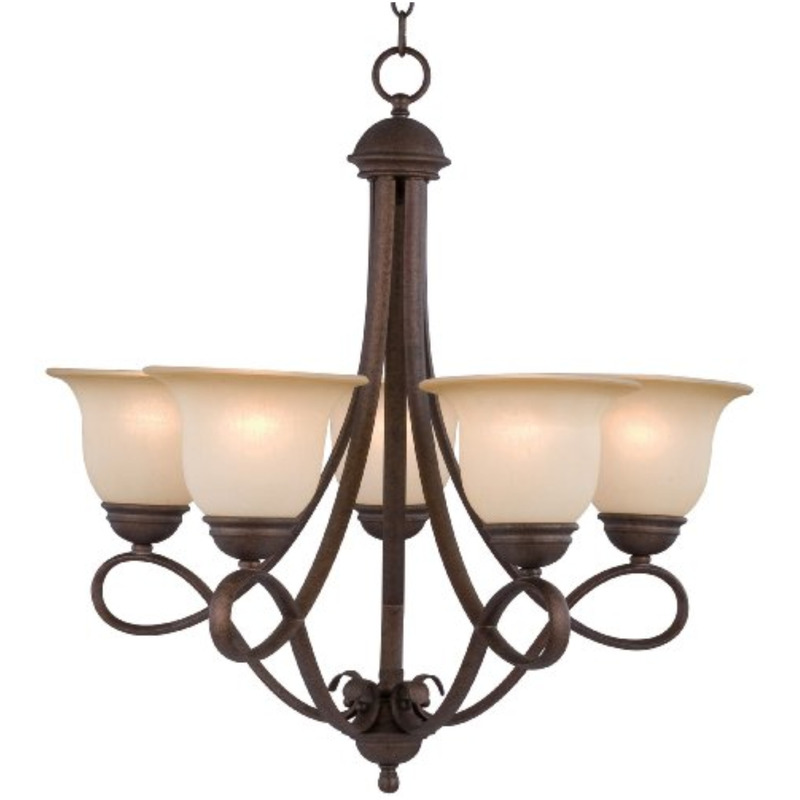 As a laid-back alternative to a chandelier, this fixture maintains a sophisticated appeal while delivering direct light with a pleasing aesthetic. 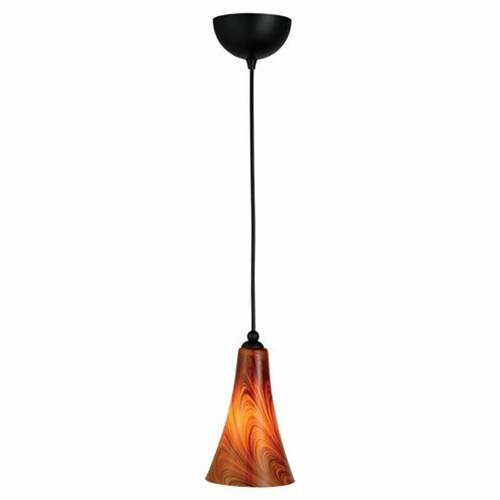 Measuring 9-inches (H) by 15-inches (W), this pendant comes with a 48-inch chain to extend over a kitchen table, island or dining room table. 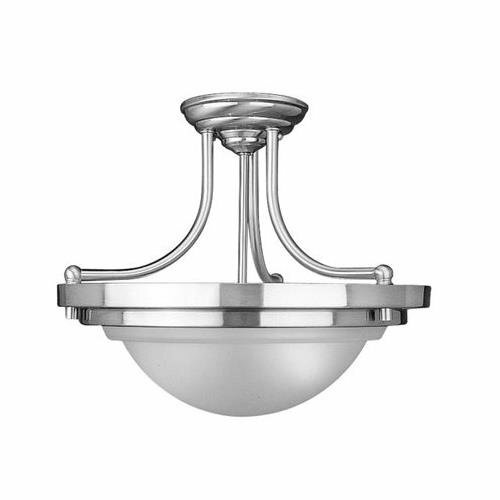 This fixture is cUL listed, UL listed and is rated for 120-volts. 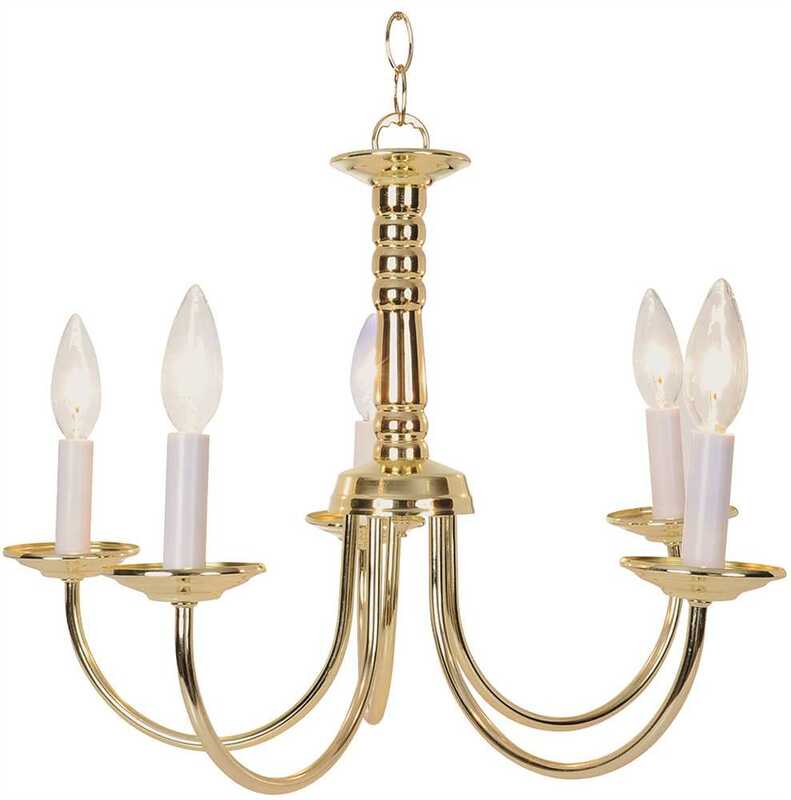 Coordinate your home with the rest of the Millbridge collection which features a beautiful matching chandelier, wall mount, vanity and ceiling. 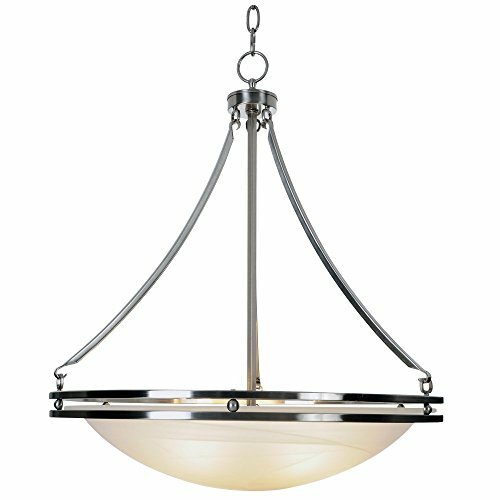 The Design House 514505 Millbridge 1-Light Pendant comes with a 10-year limited warranty that protects against defects in materials and workmanship. 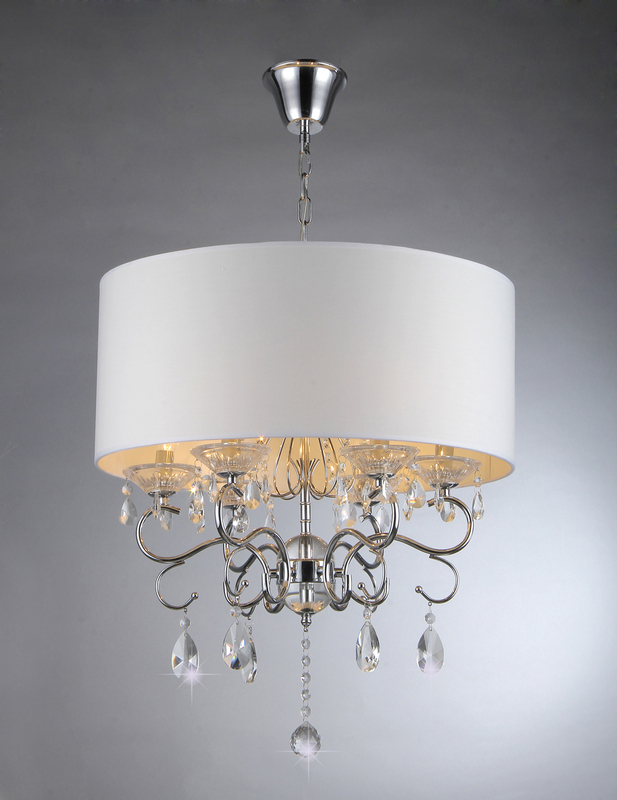 This Gertrude Crystal Chandelier creates a glamorous sparkling pendant that complements your modern look. 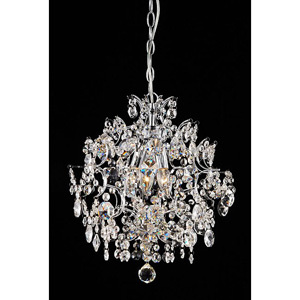 Made of Clear Crystal, stands 19"wx20"h, uses 6 bulbx60 watts (not included) type E27, includes 40" chain, made of metal, fabric in white color. 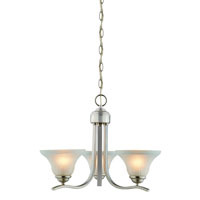 This Victoria Crystal Chandelier creates a glamorous sparkling pendant that complements your modern look. 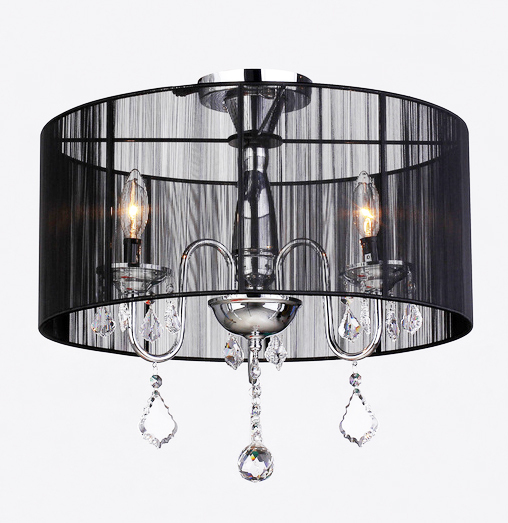 Made of Clear Crystal, with black fabric, metal and stands 19"wx20"h, uses 3 bulbx60 watts (not included) type E14. 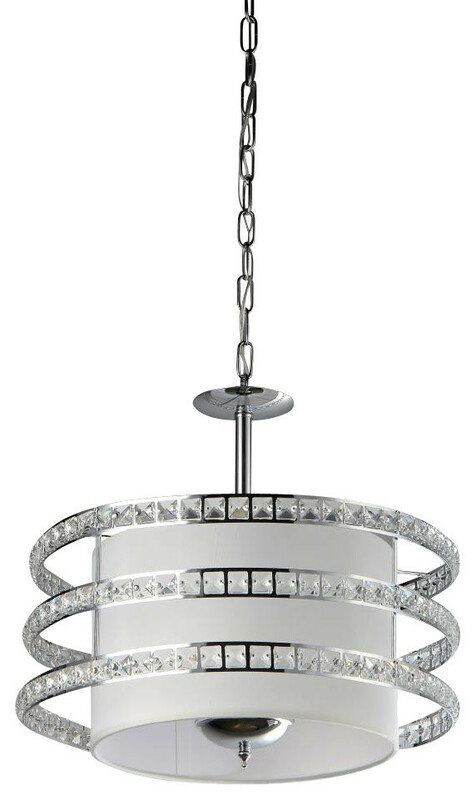 This Elizabeth Crystal Chandelier creates a glamorous sparkling pendant that complements your modern look. 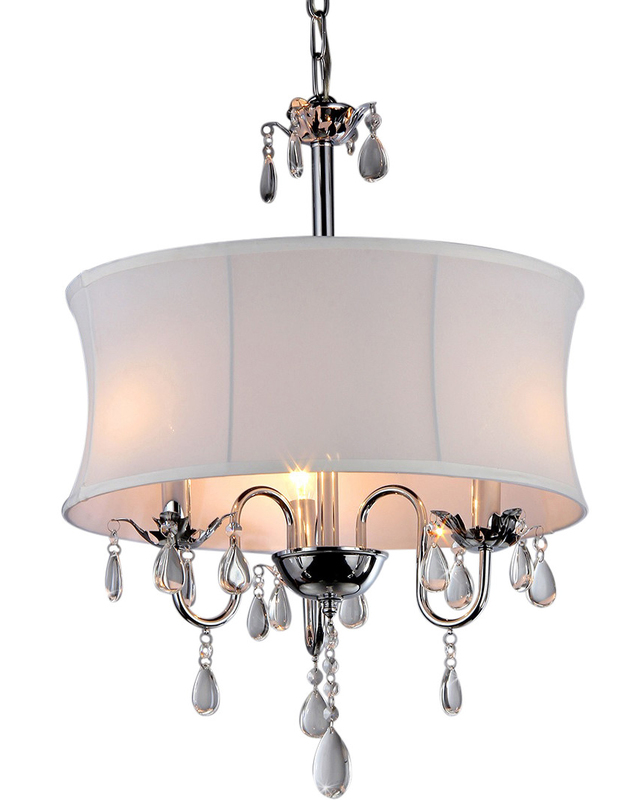 Made of clear crystal metal & white fabric, stands W46xH19in, uses Bulb Qty: 3x60W type E12, including 17 in chain. 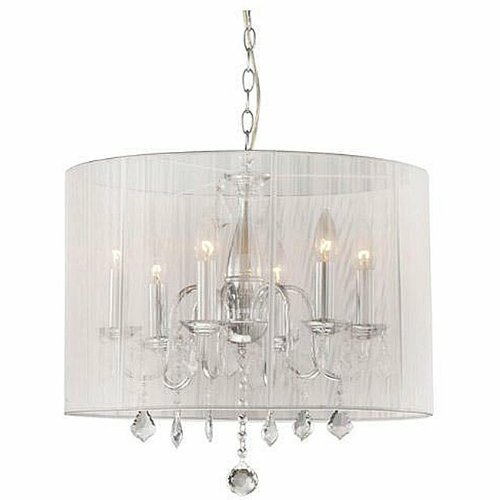 This Roxanne Crystal Chandelier creates a glamorous sparkling pendant that complements your modern look. Made of Clear Crystal, stands 18"wx19"h, uses 5 bulbx60 watts (not included) type E12, uses white fabric, metal. 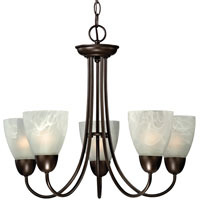 This Melissa Crystal Chandelier creates a glamorous sparkling pendant that complements your modern look. 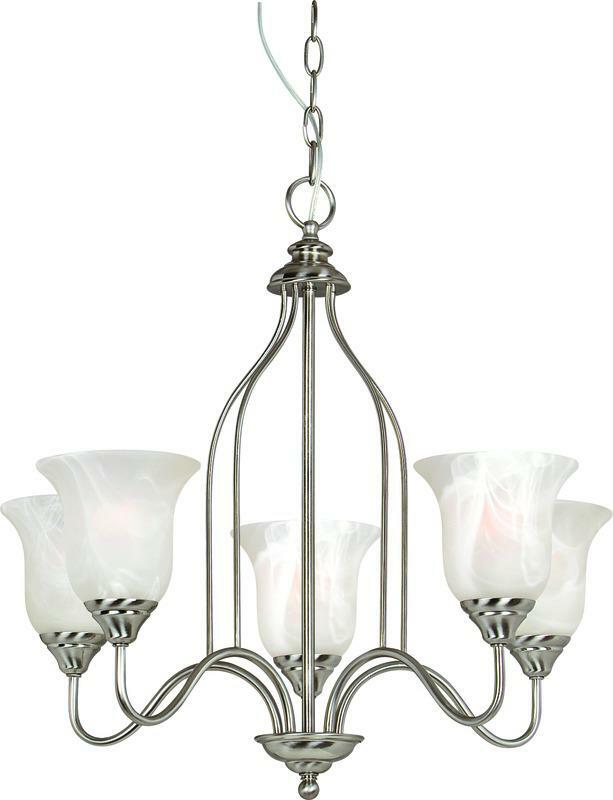 Made of metal with clear crystal, stands 22"hx18"d, uses bulb: 7x60W Type E14 (Including 40" Chain), with white fabric.